The second largest city in Sweden, Gothenburg (Göteborg in Swedish) cultivates a character of its own in fields ranging from humor to dialect and slang. Maybe that’s a reflection of the pride that many of the city’s inhabitants seem to feel when thinking about their hometown: You would be hard pressed to find a Gothenburger prepared to say something disapproving of his or her city. But then Gothenburg does have many advantages, one of the main pros no doubt being the proximity to the sea. The nearby archipelago is a favorite spot for many during the summer period, both for the possibility to go for a swim and for the quaint old fishing villages. The city is located where the Göta älv (the Göta River) meets the sea, founded following a Royal decree from King Gustav II Adolf. City rights were issued in 1621. The canals that nowadays form an indispensable part of Gothenburg’s character trace their background to the fact that the land where the new city was to be built was marshy. Thus, the Swedes turned to the Netherlands for necessary knowledge and technology, the Dutch having extensive knowledge in the field of dikes and canals. In fact, the Dutch referred to Gothenburg as “New Amsterdam” for a long time. Today, though, a more well-known nickname is “Little London” – a moniker that can be traced to the many Englishmen who moved to Gothenburg during the 19th century. Even prior to that period, during the 18th century, the city had flourished as a result of trade with Asia, developing into an important trading port. Today’s Gothenburg continues to be a city with many international influences, not least due to the many international companies that call the city home. Among those are the car manufacturer Volvo (the museum of which is located close to the Frihamnen harbor, see below), the engineering company SKF, and the shipping giant Stena. Counting more than 500,000 inhabitants, the city still has a relaxed and pleasant atmosphere where most of the things that anyone could wish for can be found within walking distance. And if it isn’t, it is sure to be accessible by hopping onboard one of the trams that connect the city’s different areas. 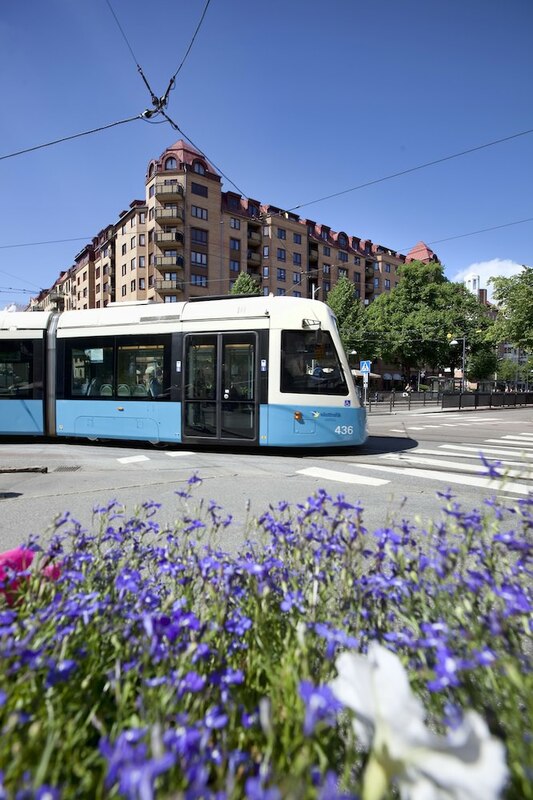 Gothenburg, in fact, is one of very few Swedish cities where trams are in operation. Gothenburg is one of the few Swedish cities where trams are in operation. Stockholm is another. Cruise ships dock either in the inner harbor or in Frihamnen. The city center is within walking distance (0.6 miles/1 kilometer) from the inner harbor. Frihamnen is farther away, located some 6 miles/10 kilometers from the city center. 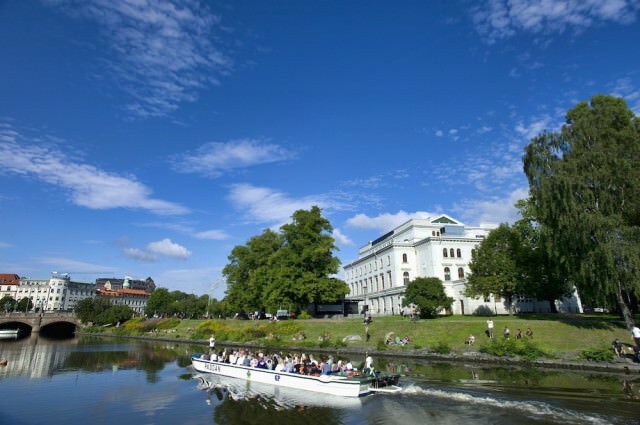 While Gothenburg is synonymous with a range of landmarks, one of the most famous is Liseberg. Many immediately associate the name with the amusement park, but there is more to Liseberg than rides and attractions. The adjacent gardens make this one of the world’s greenest amusement parks, with hundreds of trees, bushes and flowers. The gardens alone merit a visit here. Close to Liseberg is the Universeum, the largest Science Center in Scandinavia, with more than 500,000 visitors each year. While the exhibitions are primarily geared toward children and youngsters, people of all ages will find something here to interest them. Universeum also features a phenomenal aquarium. Avenyn is an institution in the city: Shopping, night clubs, cafés, restaurants, galleries and more can be found in and around this main street. Göteborgs botaniska trädgård (Gothenburg’s Botanical Garden) is one of the largest of its kind in Europe, covering 175 hectares. The several different areas, all with different themes, attract visitors from near and afar. A combined café and restaurant is located on the premises. 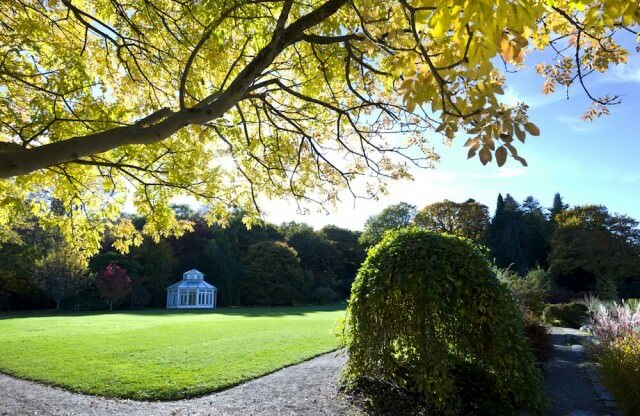 Close to the Botanical Garden you will find Slottsskogen, the most well-known park in Gothenburg. This is a lifeline for many of the city’s inhabitants, who jog or go for strolls in this rather hilly recreational area. It’s an ideal destination for kids: There is a small zoo here. Paddan represents an unbeatable way to get to know this destination – from the water. Travel along the canals and out to the harbor as you experience the city. Sjöfartsmuseet (the Maritime Museum & Aquarium) explores life under, above and by the water. The museum includes shipping registers, with facts about particular ships, ship drawings, ship models, and more. For anyone interested in the Swedish American Line, which once sailed between Sweden and North America, this is the place to visit. Röhsska Museet is Sweden’s only museum for design and handicraft, established in 1916. The collections include more than 50,000 objects, mainly from Sweden and continental Europe. Röda Sten is a center for art and diverse cultural activities, accommodated in an old boiler house from 1940. Gothenburg has its own casino. Casino Cosmopol is located in an old customs building that once was at the center for the more than 1 million Scandinavians who emigrated to America some 100 years ago. There are those who would argue that you haven’t really been to Gothenburg if you haven’t visited Feskekörka. The name is Gothenburg slang for “fish church.” That’s no doubt an apt description of this gathering place for everyone who appreciates freshly caught fish and shellfish. This food hall also includes two nice restaurants. Tours of the city, by coach or private car. These can take in many of the sights mentioned above, under Do Not Miss. Bohus fästning can be featured on some excursions. Situated north of Gothenburg, in Kungälv, this fortress was originally completed in 1308. The archipelago just off Gothenburg can be in focus on some excursions, sometimes in combination with a tour of the city. From Gothenburg to Stockholm, Sweden’s capital, it’s 290 miles/468 kilometers. Oslo, Norway’s capital, is closer: 185 miles/298 kilometers away. 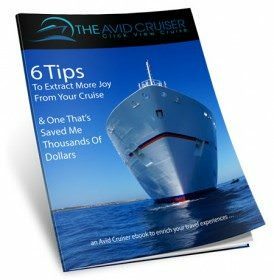 Avid Cruiser Posts, Photographs and Videos Featuring Göteborg. Avid Cruisers Here, There, Everywhere: What Are Your Summer Plans? 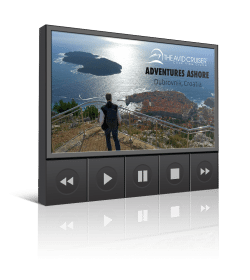 Winter Cruising In Northern Europe: A Possibility?